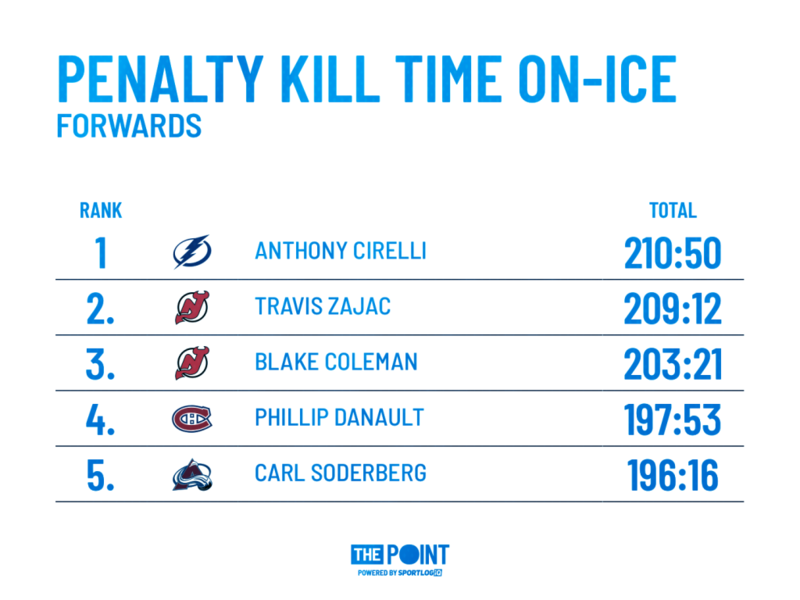 Phillip Danault Has Earned Selke Consideration - The Point Data-driven hockey storytelling that gets right to the point. Overshadowed in a 6-1 win against the Florida Panthers by a two-goal performance from Tomas Tatar and a number of highlight-reel saves from Carey Price was another terrific game by Montreal’s top center, Phillip Danault. Matching up mostly against one of the best centers in the league, Alex Barkov (who entered the game with 20 points in his last 10 games) the Canadiens out-attempted the Panthers 21-10 with Danault on the ice at even-strength. High-danger scoring chances favored Montreal 5-2 and goals were 2-0 in the 12:34 Danault spent on the ice at 5-on-5. 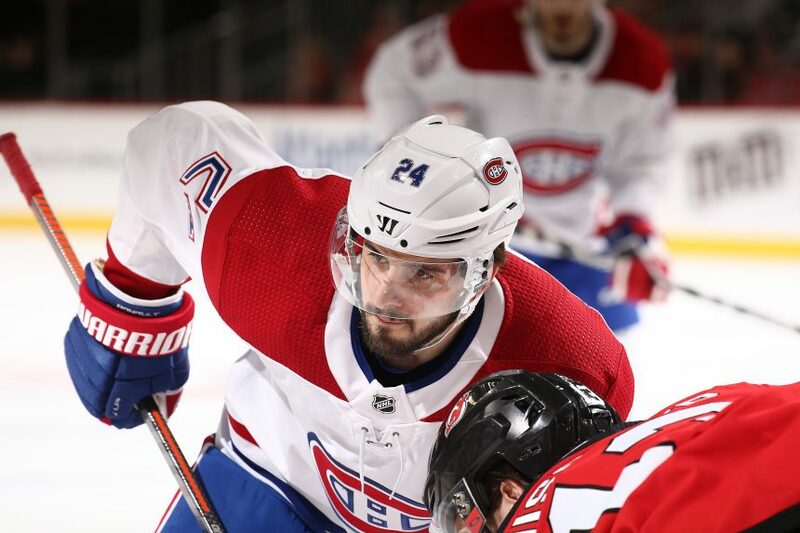 Understated, yet incredibly effective; a microcosm of Danault’s season – a season that should garner him serious consideration for the Selke Trophy as the NHL’s top defensive forward. Danault has never received a single Selke vote in his career but there is no doubt in my mind that he should finish top-5 in voting this year. He’s spent just over 600 even-strength minutes playing between Tomas Tatar and Brendan Gallagher and the line has an expected goal differential north of 60 percent. In addition to having a career-year offensively, the 26-year old is also having his best year defensively and it’s a big reason why the Canadiens, a bottom-5 team last season, are playing meaningful hockey in late March. Shaw hit on a lot of key points here, so let’s breakdown his assessment of Danault in 5 of the areas he spoke about – defensive zone face-offs, facing top lines, putting up points, being strong on his stick and contributing on the penalty kill – all areas to be considered when voting on the Selke Trophy. 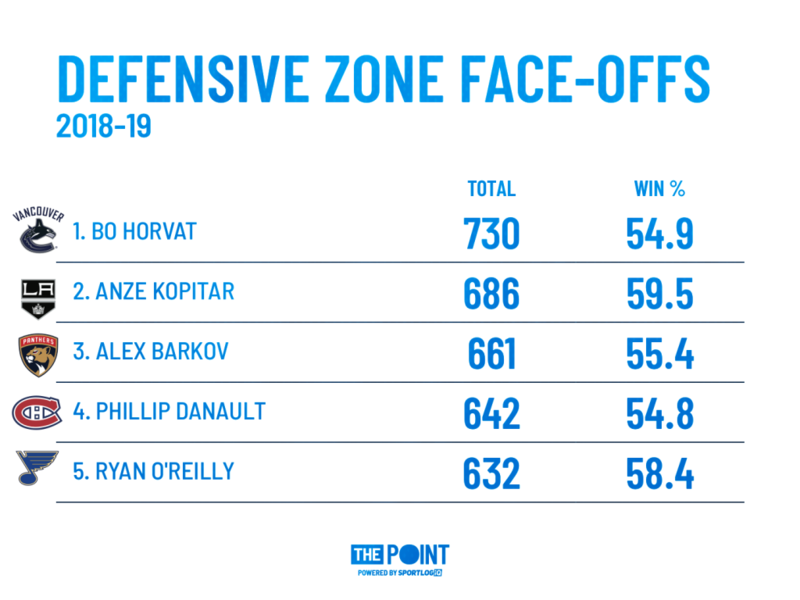 Danault has taken the 4th most defensive zone face-offs of any player in the league and has won well over half of them. His 642 defensive zone face-offs dwarf the next highest total on the Canadiens, Max Domi’s 263. Another area Danault ranks top-5 among forwards in the NHL, strength of opposition, which measures the level of offensive strength he faces on a nightly basis. The only players who face tougher competition, on average, than Danault are the three players who make up the Maple Leafs top scoring line, Zach Hyman, John Tavares and Mitch Marner, and Jakob Silfverberg in Anaheim. As mentioned, Danault is having a career-year offensively with 49 points, which ranks 5th on the Canadiens. While a high point total isn’t necessarily a prerequisite for Selke consideration, it’s something voters often consider. 49 points with minimal powerplay time shouldn’t trip anyone up when considering Danault for the award. When Danault doesn’t have the puck, he’s one of the best in the league at getting it back. There’s only one forward who has separated opposing players from the puck with his stick, causing a loss of possession, more than Danault. He played him, and got the better of him, last night. Check another box for Danault who, yet again, ranks top-5 amongst forwards in a key area when it comes to Selke consideration – contributing while shorthanded. 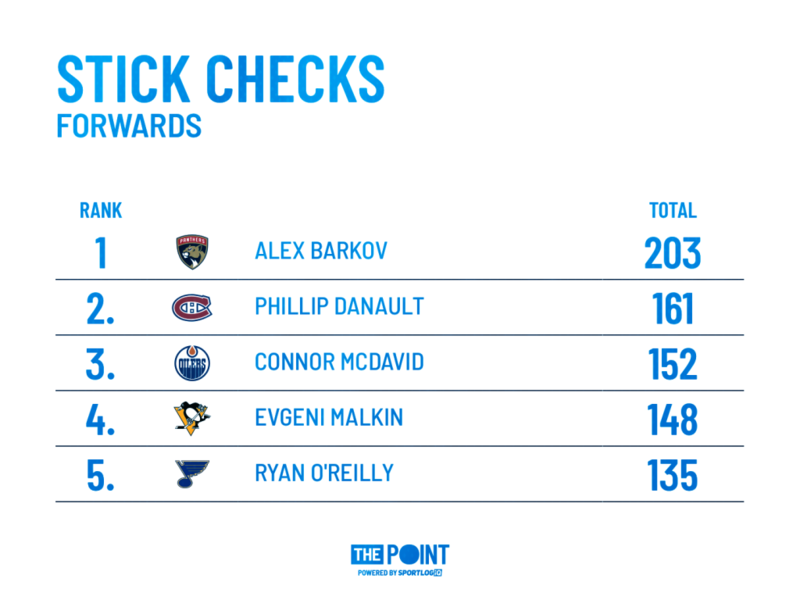 That active defensive stick I mentioned is noticeable on the PK as well, as Danault ranks top-15 amongst forwards in stick checks and blocked passes while shorthanded. As the season winds down, names like Ryan O’Reilly, Patrice Bergeron and Mark Stone are being thrown out there in Selke talk, and deservedly so. But, here’s hoping voters take a hard look at Phillip Danault and the outstanding work he has done defensively this season. He deserves more than his first ever Selke vote – he deserves a top-5 finish when all the votes have been counted.